We provide comprehensive eye health and vision examinations for the whole family, including professional contact lens fittings and advanced technologies such as retinal photography. 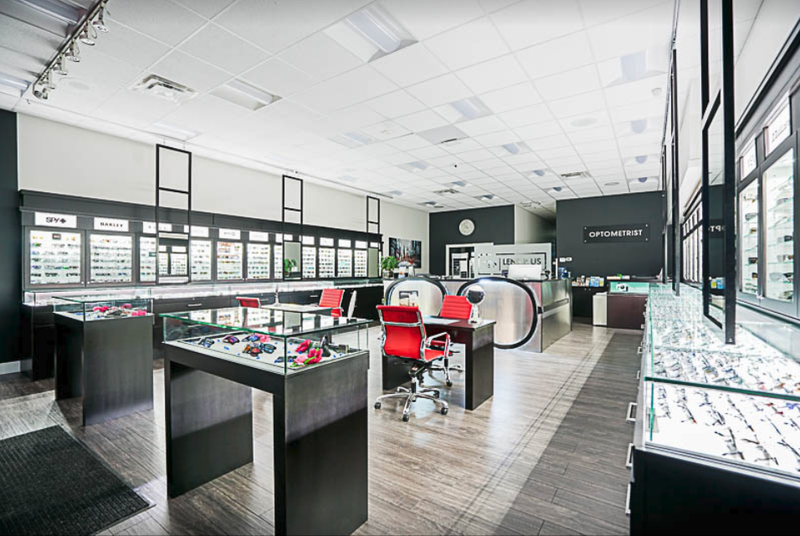 Dr. Anita Kanwal's Optometry Clinic is located inside LENS R US Optical Langley which offers a full optical dispensary with designer frames and discounted family packages, in addition to on site frame adjusting and repairs. 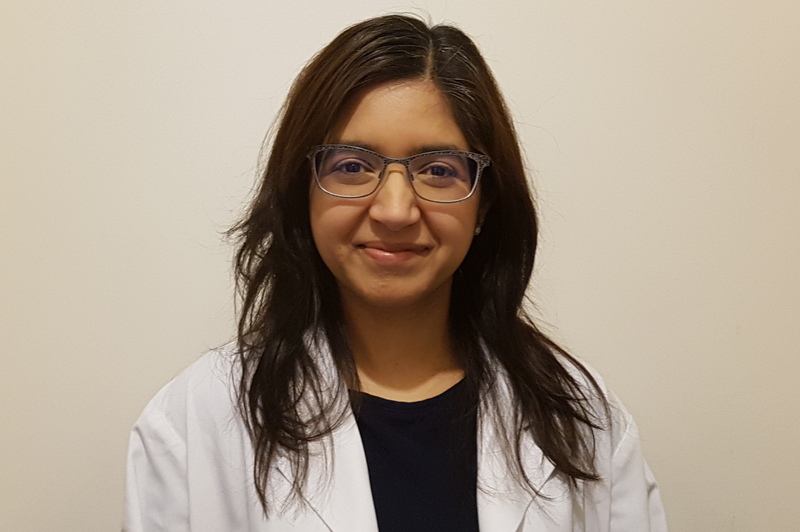 Dr. Anita Kanwal graduated with a Bachelor of Science (B.Sc) in Pharmacology from the University of British Columbia and completed her Doctor of Optometry (O.D.) Degree, on the Dean’s Honours List, from the University of Waterloo. Since graduation, she has been commited to standards of excellence in the treatment of her patients and has enhanced her knowledge of optometric advances through numerous continuing education seminars. She is a long time member of the British Columbia Association of Optometrists. 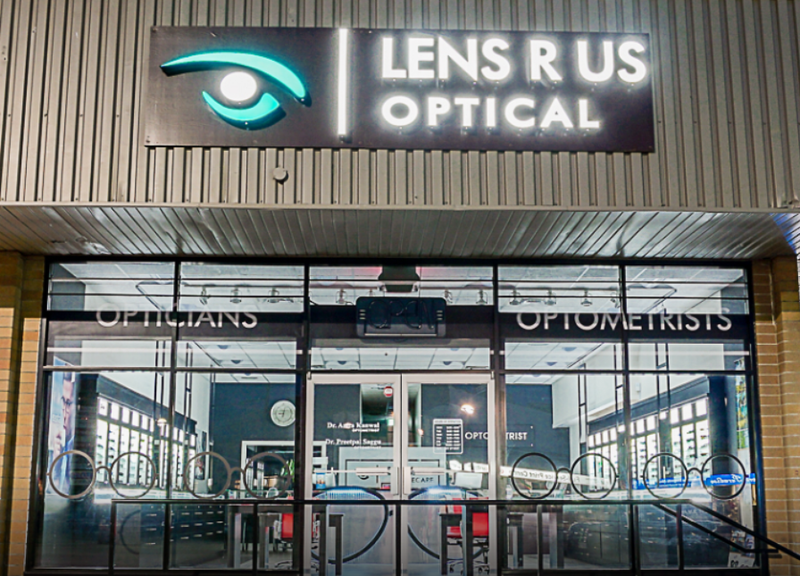 Dr. Anita Kanwal established her Optometry Clinic in 2005, making the move from Willowbrook Mall to Lens R Us Eyecare in 2011. Here, she continues to provide comprehensive eye health and vision examinations including professional contact lens fittings for the whole family. As a mother, she extends her sense of integrity, compassion, and concern for her own family to her patients. 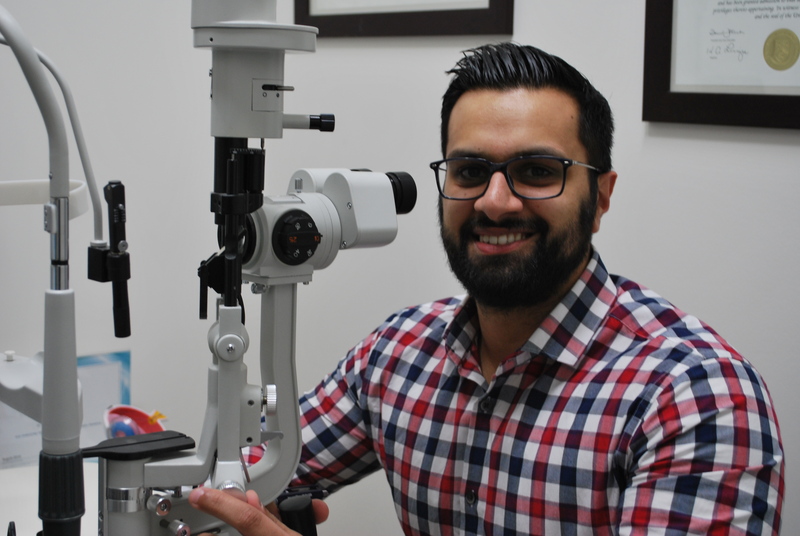 After completing his Bachelor of Science degree at Simon Fraser University, Dr. Saggu moved to Portland Oregon, where he received his Doctor of Optometry degree from Pacific University. There, he worked in several diverse optometric settings – focusing on diagnosis and treatment of ocular disease, sports vision and fitting patients with contact lenses. Dr. Saggu also has a special interest in the treatment of dry eye and enjoys teaching patients about their own eye health and introducing them to ways in which they may meet their visual needs. In his spare time, he enjoys playing and watching sports, staying active and travelling. A comprehensive eye exam performed by an optometrist looks at the entire eye and vision system and is an important part of preventative health care. Eye exams assess vision-how well you see-but also how well your eyes work together as a team, and the health of the eyes inside and out. Think of it as a physical for your eyes. • Assessment of Eye Health to diagnose a range of diseases such as cataracts and macular degeneration. • Analysis of how well the eyes focus at all distances. • Measuring of muscle alignment of the two eyes working as a team-called Binocular Vision. • Consideration of the patient's visual needs, at work and at play, to determine the ideal prescriptions for Eyeglasses and/or Contact Lenses. An eye exam could uncover anything from a minor deficiency of the tears to major eye diseases or disorders like glaucoma or retinal detachments. Eye exams can even detect signs of problems elsewhere in the body-serious conditions such as diabetes, high blood pressure and brain tumours. A complete eye exam is recommended at six months of age and every year thereafter. Your child doesn't have to be verbal for a comprehensive exam. Since more than 80 percent of a child's learning is based on vision and many serious eye conditions don't have obvious symptoms, it's important to bring children in routinely. Early intervention is critical to preventing permanent visual disability in cases of strabismus (crossed or turned eyes) and ambloypia (lazy eye). Our optometrists will assess the health of the eyes, how well the eyes work together as a team, colour vision, and determine if there is the need for a refractive correction. Children under the age of 19 are covered for an annual eye examination by the British Columbia Medical Services Plan (MSP), so please bring their care card with you to their appointment. Our optometrists recommend an annual optomap, for all children. This provides a 200 degree, ultra-widefield digital retinal image of your child's retina in a fast and comfortable way. Giving the doctor a more detailed view than can be achieved by other means. While an essential part of your child's comprehensive eye exam, MSP does not cover the $10 cost of the optomap. The $10 fee is however, often covered by extended health plans and we can bill most health plans directly. A comprehensive eye exam is recommended at six months of age and every year thereafter. Your optometrist may recommend more frequent visits if vision problems or eye disease is suspected. • Your current glasses and contact lens information. • A list of your medications. • Your msp care card and any extended health insurance card. Talk with our optometrists to figure out which contact lenses would be best for you. With today's technology, we are now able to offer comfortable, high oxygen, soft contact lenses even for those with high prescriptions, astigmatism, and multifocals. Modalities include daily, biweekly, and monthly contacts. We also offer a range of speciality contacts including antifatigue and coloured contact lenses. Annual eye exams are vital to maintaining your vision and overall health. Dr. Anita Kanwal Optometry Clinic offers the optomap® as an important part of our eye exams. The optomap produces a high-resolution 200° image to ascertain the health of your retina. This is much wider than a traditional 45° image. Many eye problems can develop without you knowing, in fact, you may not even notice any change in your sight – fortunately, diseases or damage such as macular degeneration, glaucoma, retinal tears or detachments, and other health problems such as diabetes and high blood pressure can be seen with a thorough exam of the retina. •	A scan to show a healthy eye or detect disease. •	A view of the retina, giving your doctor a more comprehensive view than they can get by other means. •	The opportunity for you to view and discuss the optomap image of your eye with your doctor at the time of your exam. •	A permanent record for your file, which allows your doctor to view your images each year to look for changes. A clouding of the eye's lens; one of the leading causes of poor vision in adults. Our understanding of dry eye and its underlying causes has completely changed our treatment protocols over the last five years. Diagnosis is made through a combination of a comprehensive eye exam and specific tests to identify dry eye. A treatment protocol can then be customized for each patient. Treatments may include nonpreserved artifical tears, medicated drops, warm compresses, lid hygiene, vitamin supplementation, debridement, and bandage contact lenses, to name a few. A general term describing damage to the optic nerve which typically affects peripheral vision first. It is known as the silent thief because usually no obvious symptoms are evident until significant damage has occurred. Early detection is the key to preventing severe vision loss. A condition in which the macula, the part of the retina responsible for sharp central vision, becomes damaged. It is the leading cause of age-related blindness worldwide and there is no cure but early detection and preventative measures can delay vision loss. Myopia is a common eye condition in which the eye is too long, resulting in light focusing infront of the retina which causes distant objects to be blurry and out of focus. What are some risk factors for myopia? Lack of outdoor play. High digital device usage. Myopic parents-genetics plays a role. Early onset of myopia-myopia in young children gets worse as they get older because their eyes continue to grow and the retinal tissue has to stretch which can lead to holes, tear or detachments. Children demonstrating significant progression in multiple years are certainly at even greater risk of high/pathological myopia. The more myopic an eye, the more at risk for serious eye disease/conditions later in life such as glaucoma, cataracts, macular degeneration, and retinal detachments. At 3.00D of myopia, the risk of cataract triples, and the risk of retinal detachment and myopic maculopathy is nine times that of a person who isn’t nearsighted. Once children reach 5.00D of myopia, they hold a five times greater risk of cataract, 21 times greater risk of retinal detachment and 40 times greater risk of myopic maculopathy. 1. Do Nothing. The Rx will most likely continue to get worse and risk factors for related vision problems and eye disease will go up. 2. MiSight 1 day daily disposable contact lenses. This is the first soft contact lens proven to slow the progression of myopia by 59%. 3. Atropine 0.01% medicated eye drops. The goal of myopia control is to reduce the rate of myopic progression. The amount of testing and exams needed are based on the initial rate of myopic progression and the eyes’ response. Exams are typically done at 1 week, 1 month, 3 months, 6 months and 12 months to ensure best results. More exams may be required to achieve optimal results. Myopia Causes - is your child at risk?